Penelitian - More than 90 percent of the world's children breathe polluted air that puts their health and development at serious risk, and tragically kills many of them, the World Health Organization (WHO) warned on Monday, urging for acute response policies, measures and actions globally. It's a heavy toll, caused by both outside and household air pollution, on the health of the world's children, particularly in low- and middle-income countries. According to the WHO, one reason why children are particularly vulnerable to the effects of air pollution is that they breathe more rapidly than adults and so absorb more pollutants. Another reason could be that they live closer to the ground, where some pollutants reach peak concentrations, at a time when their brains and bodies are still developing. 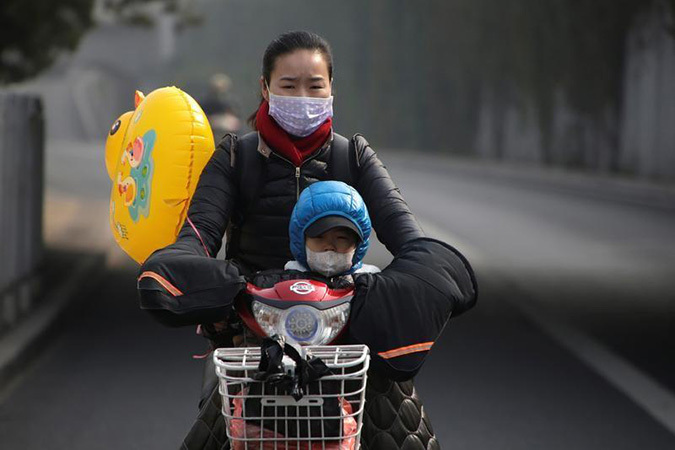 The report reveals that when pregnant women are exposed to polluted air, they are more likely to give birth prematurely, and have small, low birth-weight children. "Polluted air is poisoning millions of children and ruining their lives. This is inexcusable. Every child should be able to breathe clean air so they can grow and fulfill their full potential," says WHO Director-General Dr. Tedros Adhanom Ghebreyesus.